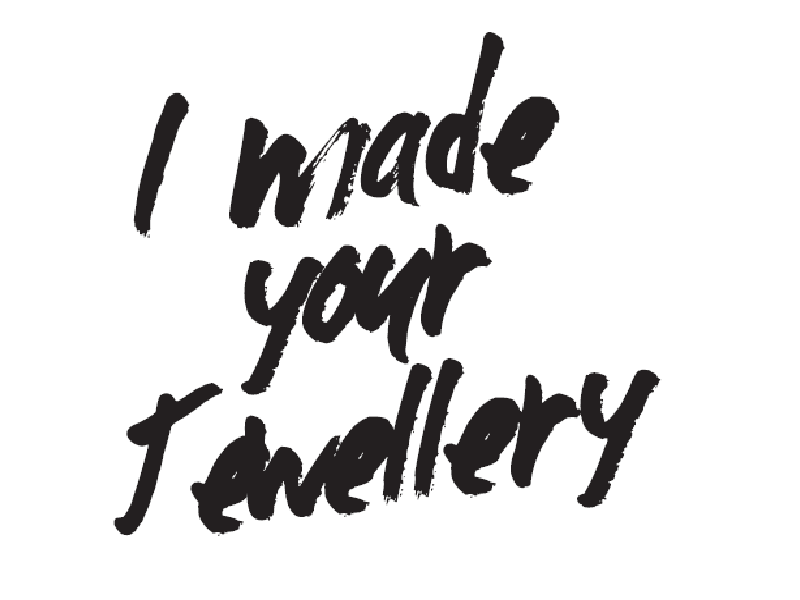 We’d love you to be part of our growing community of ethically minded jewellers. 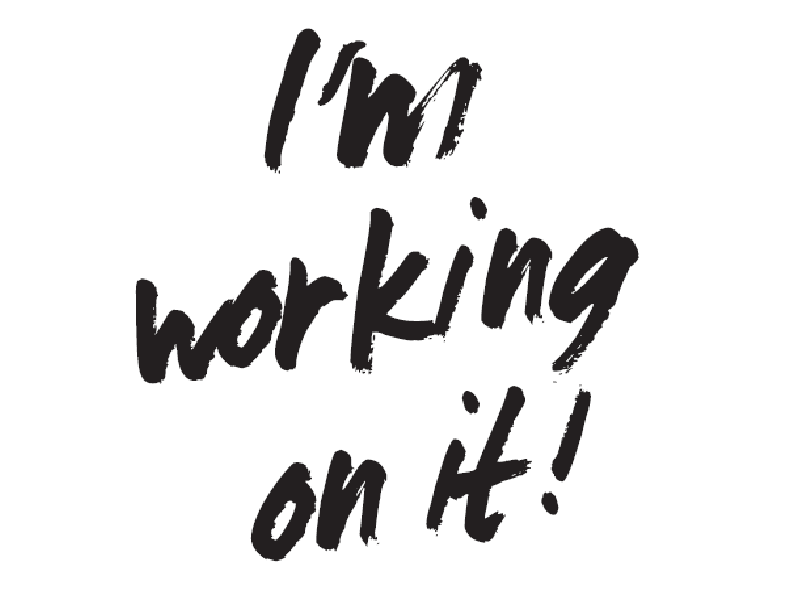 Join our campaign and make a pledge to find out more about where your jewellery and materials come from and be part of a changing jewellery industry. 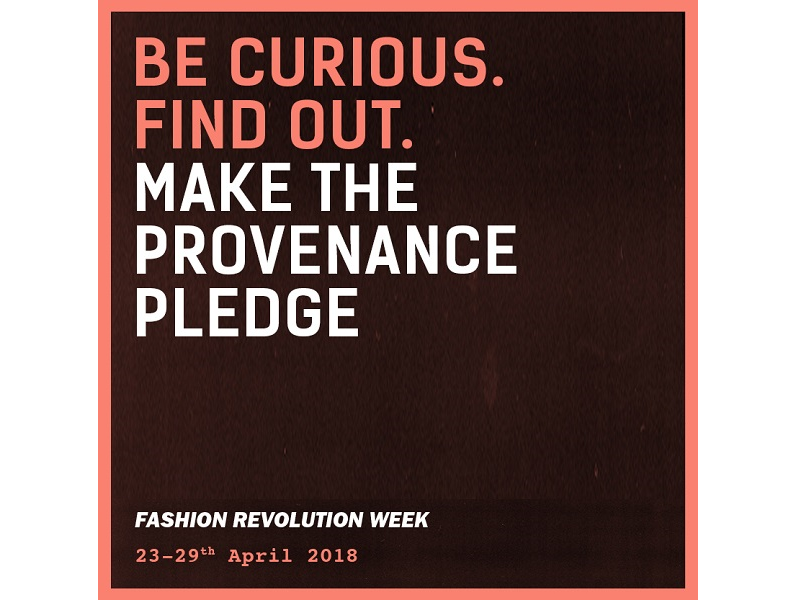 We launched the #ProvenancePledge during Fashion Revolution Week 2018 to encourage people to make a commitment to responsible sourcing, seek transparency in the supply chain and learn the provenance of materials. You can take the #ProvenancePledge as a very first step or to mark a new commitment in your ethical journey. Your particular pledge will be unique to you – but will show that you have made a promise to be part of the change. It may be a decision to start using certified precious metal or to making a percentage of your work from certified gold; asking all your suppliers where their material comes from and what they know about working conditions of those who produced it; telling your customers what you know about the materials you work with – and these are just for starters. 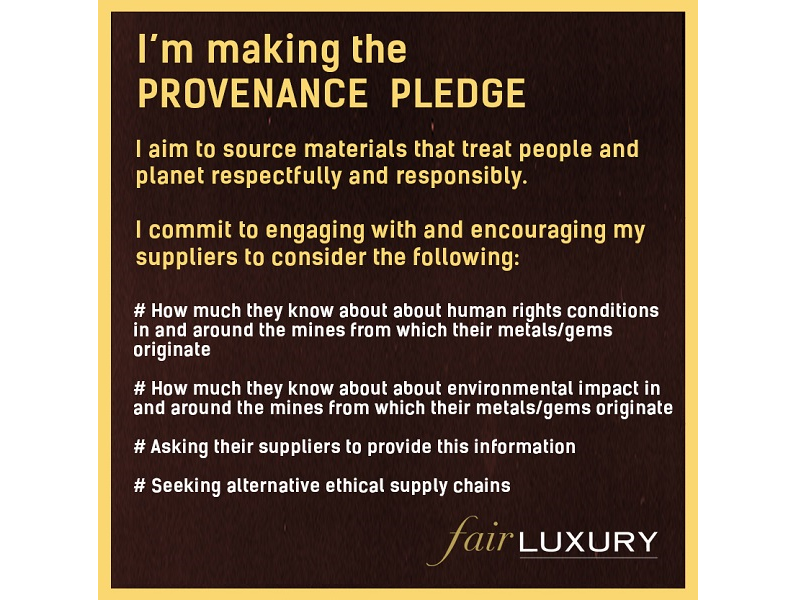 Share your pledge on your channels to demonstrate your commitment to Fair Luxury using the hashtags #FairLuxury #ProvenancePledge and tag us @fairluxuk so we can be sure to find you and share your good news!